Custom Air Products & Services, Inc. (CAPS), a leading commercial and industrial heating, ventilation, and air conditioning (HVAC) company, today announced completion of a facility expansion acquisition and renovation. Custom Air Products & Services, Inc. (CAPS), a leading commercial and industrial heating, ventilation and air conditioning (HVAC) company based in Houston, Texas (US) today announced completion of a facility expansion project. Located just next to its original facility at 35 Southbelt Industrial Dr., Houston, Texas, the addition provides Custom Air Products & Services, Inc. more space for its expanding operations. One of the capabilities the expansion provides is access to 2,500 amps of power for FAT testing and equipment service and repairs. This addition provides a significant improvement over existing test capabilities providing the ability for CAPS to test equipment of all types and sizes. Another distinct advantage for CAPS comes from the amount of outside storage space now available providing four additional acres of concrete for more efficient staging, storage, organization, and logistics. The facility addition provides 4,000 square feet of new office space, 10,000 square feet of inside assembly, testing and storage areas, along with 174,240 square feet of outdoor storage and staging space. The office upgrades will be complete by the end of the week and the first tenants (CAPS Service Department) will be moving in over the weekend. The inside and outside work areas, however, are fully functional and have already provided measurable impacts for the company. Custom Air Products & Services currently occupies five modern facilities, totaling 180,000 square feet in size. These buildings include administrative and engineering offices, training facilities, a filter warehouse, and service shops for fabrication, manufacturing, electrical modifications, as well as material inventory and shipping and receiving. 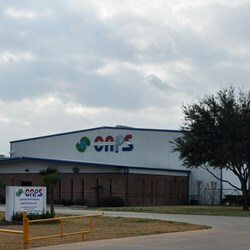 CAPS services are provided to customers throughout the United States and Mexico while their manufactured products have been delivered to sites around the world. Currently CAPS has equipment operating on six (6) continents and in 52 countries. If you’d like more information about this topic, please call Bea Amaya at 713.460.9009 or email her at bea.amaya(at)customairproducts.com.